Unsworth LaPlante, PLLC provides estate planning and elder law services throughout the entire state of Vermont. Many clients in Vermont trust us because of our understanding of local laws and of the court systems where important proceedings like probate take place. We know how to make use of legal tools in Vermont to help you achieve goals like protecting your family and maintaining autonomy in case of incapacity, and we understand how to help you to plan for your legacy so you can leave the world a better place. Find out more. Vermont is the second least populated state within the United States, with only Wyoming having fewer people. Vermont had approximately 40,000 more residents than Wyoming, as of the most recent census. Although Vermont may not have a big population, it is the leading producer of maple syrup within the United States. It is also a very safe place for its residents and in fact was named as the safest state in the country at the start of 2016. Life in Vermont can by idyllic, but you need to plan to achieve a secure future for yourself and your loved ones, as you never know what life has in store for you. Within the state of Vermont, there are many different government programs and nonprofits which aim to provide support and help for seniors. 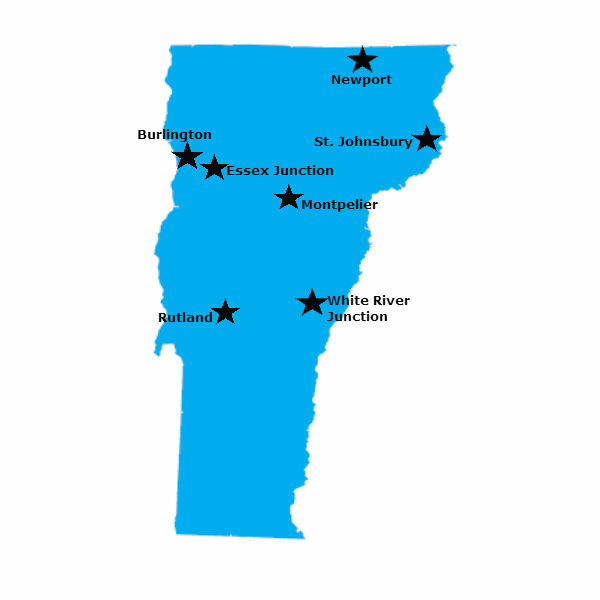 For example, Vermont has agencies on aging located within multiple counties throughout the state. Vermont Seniors.org provides a list of different senior services agencies that offer programs and aid seniors in taking advantage of services that can help them maintain independence and improve quality of life. Vermont also makes Green Mountain Care, which is the state’s version of Medicaid, available to seniors over 65 and to the disabled if they meet certain income criteria and have limited resources. Medicaid is one of the primary payers of nursing home costs in Vermont and throughout the United States. A Medicaid planning attorney at Unsworth LaPlante, PLLC can provide help in qualifying for Green Mountain Care while protecting assets, so you can get nursing care if you need it. Many people who have lived in Vermont all their lives decide to retire locally, while those from out of state may also choose to retire in Vermont because of its quaint New England charm. Market Watch addressed some of the pros and cons of retirement in Vermont, including the high taxes, cold winters, and beautiful summers. Vermont is a lower cost place to retire than many other nearby areas such as New Hampshire, New York, and Massachusetts, but the cost of living is still 16.7 percent above the national average. This means if you hope to retire within Vermont, you should work with an experienced retirement planning lawyer at Unsworth LaPlante, PLLC as early as possible in your career so you will have the funds to live comfortably. Throughout Vermont, clients turn to elder law and estate planning attorneys with the goal of avoiding guardianship and probate proceedings. Yet, very often, situations arise where incapacity happens with no advanced plans or where an estate must be probated. Adult and minor guardianship, as well as legal issues involving estates, wills, testamentary trusts, and all probate matters are handled within the Probate Division of the Vermont Judiciary. Vermont Judiciary.org provides information on probate courts and judges in different counties, as well as providing information on the location of probate courts throughout the state of Vermont. The Vermont Judiciary has also prepared a guide to settling estates in Vermont. The guide explains the forms to file and the method of starting the process with and without a will, and also provides a general overview of the probate process. In Vermont, intestacy laws aim to provide for distribution of assets to the closest living relatives when there is no will, which usually means assets will go to spouses and/or children. Leaving the division of your assets to default state laws will rarely result in the outcomes you desire, so you should strongly consider working with an experienced attorney to make a comprehensive estate plan that gives you the chance to determine your own legacy. For those making an estate plan in the state of Vermont, one important consideration is estate taxes. The Vermont Department of Taxes explains that as of January 1, 2016, estate tax applies if the value of an estate exceeds $2.75 million. The estate tax rate is a flat tax rate of 16 percent and it applies only on the amount over $2.75 million; it does not apply back to the first dollar as it did under previous law. Estate taxes can be burdensome, especially for owners of farms and businesses in Vermont, and you may wish to consider making plans to try to reduce or avoid estate tax if you live in the state or own property and assets there which will be subject to estate taxation. An attorney provides advice on your options for estate tax planning that can help you to give less of your money to the government. 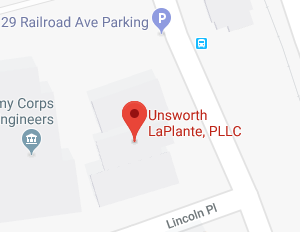 Unsworth LaPlante, PLLC is proud to serve clients throughout the state of Vermont and to provide them with help making plans for their future. Whether your goal is incapacity planning, Medicaid planning, legacy plan, or estate planning, our legal team has the experience, commitment, and ability to help you make effective use of Vermont’s laws. We know you have bright goals for your future and your family, and we will help you to prepare to meet those goals while planning ahead to provide protection in case of tragedy. 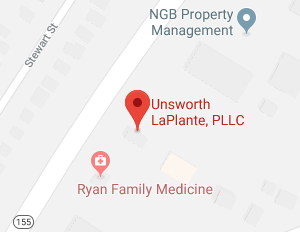 To learn more about the many ways in which Unsworth LaPlante, PLLC serves clients in Vermont, give us a call at (802) 879-7133 or contact us online today.